Apple’s iPad sales are going to get crushed in the March quarter of 2015, according to KGI Securities analyst Ming Chi Kuo. 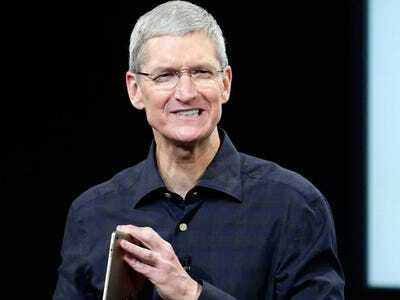 In a new report, Kuo forecasts Apple sells 9.8 million iPads in the first calendar quarter of the year. That would be a 40% drop on a year-over-year basis. For the current holiday quarter, Kuo is forecasting Apple sells 21.5 million iPads, which would be an 18% decline on a year-over-year basis. Kuo is the best Apple analyst in the world. He nails Apple product releases. He’s plugged into Apple’s supply chain, which likely influences his forecast for the iPad in the next two quarters. If this is an accurate prognostication, it is a stunning demolition of what was once believed to be the next major business line for Apple. It’s not going to hurt Apple too badly in the near term because Apple is the iPhone company and iPhones are selling like crazy. But in the big picture, it’s not good for Apple because it wants to be a diverse company with many growing business lines. Why has the iPad gone negative? There’s no single satisfying answer. It seems to come down to a few things. Further, smartphones are getting bigger and bigger screens, thus negating the need for a tablet.